It was appropriate to drive through Blackall and Barcaldine a day after Kevin Rudd’s return as Prime Minister. Rudd’s resurrection seems to confirm the death of difference between the two major parties in Australia. But there was a time when Labor was a labour party and Blackall and Barcaldine are crucial to that story. The western Queensland towns showed it wasn’t just the Australian economy that rode on the sheep’s back, so did the trade union movement. It seems absurd to think conservative and remote rural Queensland might be key to labour politics. Blackall and Barcaldine have populations of no more than a couple of thousand each, are a thousand kilometres from Brisbane and are part of National Party (now Liberal National Party) heartland with two long-term members. Federally Bruce Scott holds the second safest seat in the country in Maranoa since 1990 while the state member for Gregory Vaughn Johnson has been there a year longer and holds a two party-preferred margin of 75-25. Yet it wasn’t always this way in Gregory. The Country/Nationals first grabbed the seat after the long-term Queensland Labor government imploded in 1957. It had been a Labor stronghold since 1899 when trade unionist William Hamilton took the seat. Hamilton was a miner and a shearer in the shearing sheds at Clermont in 1891. Australia was starting its worst ever depression that year due to a global financial crisis. A year earlier, the collapse of Baring’s finance house in London caused overseas investment to dry up in Australia with large-scale unemployment as public works programs scaled back. There was a run on overextended banks and building societies and several collapsed. In rural areas, the problem was worsened by a fall in the wool price. Shearing was a demanding occupation and poorly paid. In 1890 the Australian Shearers Union prohibited members from working at non-union sheds. Blackall’s top shearer Jackie Howe (who two years later broke the world record for numbers of sheep shorn in one day) was instrumental in merging the local union with the Queensland union. Barcaldine was the focus of the trouble as the western railway line terminus. Howe brought a Blackall contingent to Barcaldine in 1891 for one of the world’s earliest May Day rallies commemorating the 1886 Chicago Haymarket Affair when anarchists bombed police after a riot. Pastoralists hit back with anti-union contracts and the Australian Shearers Union called a national strike. It was the first serious confrontation between capital and labour in Australia. Shearers camped at the edge of town and plotted a course of “moral suasion” which their opponents called intimidation. The shearers burnt grass, set fire to woolsheds and attacked scab labourers. After four months, the state called in the army to break up the strike. Leaders were tried for conspiracy, rioting and sedition and sent to St Helena prison in Moreton Bay for three years. While the strike was unsuccessful, it led to calls for a new political party. 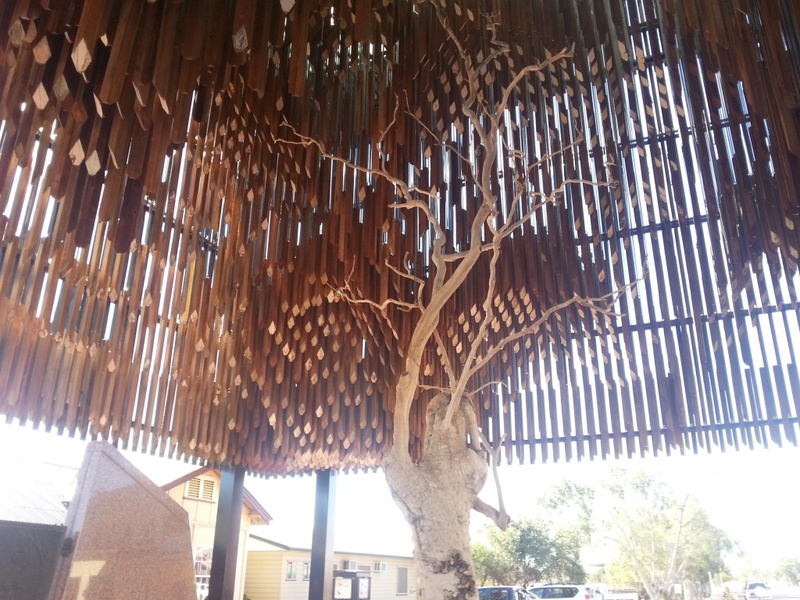 Legend has it they gathered under a well-known ghost gum called the Tree of Knowledge at Barcaldine railway station. Historians Peter and Sheila Forrest debunked that theory in their book Bush Battleground saying it was the scene of angry confrontations as scab labourers arrived by train. The party was more likely developed in the camp sites but the tree grabbed the mythology. The party grew after strike leaders emerged from prison. William Hamilton returned to western Queensland to take Gregory in 1899. Queensland Governor Samuel Griffith invited Labor leader Anderson Dawson to take office, becoming the first socialist government in the world. It was kicked out after six days, but Labor had arrived. Several Labor governments followed with Blackall prominent in the strongest of them. In 1909 Jackie Howe was president of the local labour association and a friends of solicitor Thomas Joseph Ryan who dealt with union cases in the west. He invited Ryan to stand for the local seat of Barcoo which he won that year. By 1915, Ryan was Premier of Queensland with a large majority to institute sweeping change and the first Australian Labor government to rule without a coalition. Ryan’s government nationalised many industries and allowed women to stand for parliament. His opposition to Prime Minister Billy Hughes’s conscription campaign enraged Hughes and made Ryan a national figure. Elected to federal parliament in 1919, he was touted as a future leader but died of pneumonia in 1921. The Barcaldine Tree of Knowledge is also now dead, though the cause is less clear. It was mysteriously poisoned (the Forrests think it was done accidentally by railway workers) and died in 2006. It is tempting to draw a comparison with Kevin Rudd’s rise to Labor leader, also in 2006. But Labor’s industrial values had long died by then. From the time the Hawke-Keating Government floated the dollar and removed tariffs in the mid-1980s, Labor was no longer a party of labour, but of capital with a social democratic veneer. The veneer was disguised by the skill and towering egos of Bob Hawke and Paul Keating. By the 21st century they were gone and like the tree in Barcaldine, Labor survives only by the decreasing force of its own mythmaking. THE thing politics has over policy is that it is a sport. When The Age called this out in its editorial asking for the head of Julia Gillard, it was condemned for focusing on palace politics instead of setting the agenda of policy. The Age knows personal drama is infinitely more interesting than the 55 or so pieces of legislation yet to pass in the final week of the 43rd parliament of Australia. But here where I don’t have to pander to profit or personal drama, I can take the time to look at all 55 remaining bills, in alphabetical order. They cover wide-ranging issues of environment, the world economy, employment, education, tax reform and agriculture. This is what parliament is for: to change and enact law. Each of the 55 bills is important to someone or something; a truth the independent members of parliament (who raised most of them) know all too well. I’m hoping people feel more informed for reading them; I did for writing them down. Enables Australia to become a member of the African Development Bank Group by authorising payments to subscribe to membership shares in the African Development Bank and meet membership and ongoing subscriptions to the African Development Fund. According to Bernie Ripoll (Lab) the bank promotes sustainable economic growth to reduce poverty in Africa. The bank has 78 member countries, comprising 54 African and 24 non-African countries. In 2011, the Independent Review of Aid Effectiveness recommended Australia join the group as it would represent value for money, and be a high-level indication of Australia’s commitment to development in Africa. The far-reaching bill would require private and public projects of half a billion dollars or more to develop an Australian Industry Participation plan. The Australian Industry Participation Authority would administer and monitor compliance reporting back to parliament. In the first debate, Liberal backbencher Craig Kelly saw an obvious problem: The measure would see government officers embedded in business, “just like it used to be in the Soviet Union”. The planning regime will cost $1 billion dollars to implement, so I wonder if it will be subject to an Australian Industry Participation plan if it passes. This Katter bill wants to limit foreign investment in Australian agribusiness and agricultural land. It would require the Foreign Investment Review Board to take “the national interest” (a contested concept) into account in foreign investment and prevent non-Australians from owing half or more of an agribusiness or land more than four hectares. Another Katter bill to amend air acts to ensure Australian international and domestic air services are at least 51% Australian owned and operated, do at least 80% maintenance in Australia and use only Aussie crews. A Greens bill to amend the 1992 broadcasting act to prohibit ads on odds, restrict betting ads to after 9pm, prohibit “non-ad ads” and freeze betting ads before sports broadcasts. Given the 1992 act is pre-Internet, this seems papering over enormous cracks. This one from the Greens wants to amend the Competition and Consumer Act 2010 to specify country of origin on food with labelling based on the weight of the ingredients. 7. Competition and Consumer Amendment (Strengthening Rules About Misuse of Market Power) Bill 2013 is an adjunct of 6 to strengthen the act to protect people in complicated supply chains eg where a $1 litre of milk to the customer is a net cost to the producer. Katter’s call to register dairy regional representative bodies and Fair Work Australia to determine a modern award for dairy farmers with farmers and processors to establish enterprise agreements and collective negotiations. Peter Garrett’s bill to establish the Early Years Quality Fund Special Account providing $300m over two years to long day care services to pay employee wages, costs and expenses and is an early pay off for Gonski to make kindy-teaching a better paying job. Townsville LNP’s George Christiansen’s “Making Marine Parks Accountable” bill amends the Environment Protection and Biodiversity Conservation Act 1999 to allow Government to set an area of sea, or land and sea as a Commonwealth reserve with the help of an independent scientific reference panel and a stakeholder advisory group. Christiansen wants to protect fishing constituents’ access to marine parks. Amends the Environment Protection and Biodiversity Conservation Act 1999 to place a two year moratorium on aquifer drilling connected with coal seam gas extraction; and impose penalties for contravention. Katter wants to ban CSG mining for 24 months. Katter bill to index military retirement benefits the same way as Australian age and service pensions, based on a higher-end consumer price index. This Greens bill amends the Fair Work Act 2009 to expand enterprise agreements, settle disputes, and make provisions on industrial action. The object is to consider items of job security, full employment and work/life balance when the full bench makes a workplace determination. Katter bill to remove the restriction of Fair Work Australia dealing with disputes by arbitration, mediation or conciliation, or by making a recommendation or expressing an opinion. Katter bill to stop the foreign takeover of Cubbie cotton station near Dirranbandi, Qld. Ag Minister Joe Ludwig’s bill to create a new Grape and Wine Authority by merging the Grape and Wine Research and Development Corporation and the Wine Australia Corporation. The merger would align strategy and achieve efficiency gains. Social inclusion minister Mark Butler’s bill introduced with the Homelessness Bill 2013, to repeal the Supported Accommodation Assistance Act 1994 and makes an amendment to the Commonwealth Electoral Act 1918. The bill ensures homeless people can still vote in elections. Butler’s main bill which provides for the recognition of homeless people and those at risk of homelessness. There is a recognition of homelessness and an aspiration everyone should have a home. The aim is to remove barriers in social inclusion and improve service delivery. This Katter bill imposes penalties on those who don’t label imported food properly. Bill Shorten’s bill – Combined with the Superannuation Legislation Amendment, the bill amends the Income Tax Rates Act 1986 to impose a 45 per cent tax on superannuation benefits illegally released early. See also 50. Greens bill to amend the Infrastructure Australia Act 2008 to prioritise Commonwealth rail funding over roads, with the exception of road projects designed to fix an urgent road safety issue or which construction has already begun. Greg Combet’s bill to tighten IP laws on crown use, implement a TRIPS protocol to supply developing countries with generic versions of patented medicines, protect plant breeder IP and bring in joint patent regime for Australia and New Zealand. Despite its international importance, this huge bill got little attention in local media. International Business Times said the law would enable Australian companies to respond to future health crises in less developed nations. Bob Carr’s bill to amend the International Organisations (Privileges and Immunities) Act 1963 to give privileges and immunities to the International Committee for the Red Cross and the International Criminal Court. The first part is required because Australia has signed an MOU with the Red Cross making it a legal entity while the second provides support for victims in ICC trials and removed a roadblock to Australia’s accession to the ICC Agreement on Privileges and Immunities. Andrew Wilkie’s bill calls for the end to live animal export by 2017 and in the interim ensure “satisfactory treatment” before slaughter. Minister for State Gary Gray’s bill provides for the protection of Malabar Headland following divestment to NSW. Malabar Headland is in south-east Sydney and was declared a 70-hectare national park in 2010. It was transferred to NSW in 2012 after remediation. The bill ensures Commonwealth oversight of the site. Wilkie’s bill to amend marine regulations to ensure Australian standards are followed despite the rundown of Australia’s merchant fleet. Greens bill to allow gay marriage. Likely to fail due to Liberal block of conscience vote. The Coalition’s Scott Morrison’s bill to restore two new temporary protection visa classes lasting three years. One is the offshore entry TPV for refugees entering at an “excised offshore place” (eg Christmas Island) but who meet Australian protection obligations, the other a “secondary movement” offshore visa which is the same except the person is a non-citizen who transited in a country other than Australia where the person could have sought protection. Immigration Minister Brendan O’Connor’s variation on the TPV bill and one of the few bills gathering media attention due to the furore over 457 visas which are a subclass of TPVs. It require sponsors in the TPV program to do Australian labour marketing testing with Fair Work inspectors oversight before employing someone on these visas. Nicola Roxon’s bill to establish the Military Court of Australia as part of the Federal Court to overcome the High Court challenge to the 2007 Military Court to deal with widespread military abuse. Lane v Morrison came out of a recruitment drive here in Roma in 2005. After a round of golf and drinks, Lane supposedly ”tea-bagged” an army sergeant but denied the charge before the military court. Lane successfully argued the court was unconstitutional. Greens amendment to the ill-fated Minerals Resource Rent Tax Act 2012 to disregard increases in state royalties after 1 July 2011 when calculating royalty credits for the tax. Adam Bandt’s objective is to protect tax revenue from being eroded by increased State Government royalties. Rob Oakeshott’s bill to make the national electricity law a Commonwealth law rather than state law. Oakeshott said the states’ electricity networks have seen the biggest increases in electricity prices and have the biggest say in how the pricing rules are set. “There’s a clear conflict of interest in states owning monopolies and regulating monopolies at the same time,” he said. Amend definitions in the 2011 National Health Reform Act to allow the new National Health Performance Authority report on the performance of hospitals and primary health care organisations. Nicola Roxon’s bill to amend the Native Title Act 1993 to disregard historical extinguishment of native title and broaden the scope for voluntary indigenous land use agreements. Families Minister Jenny Macklin’s bill to clarify provisions related to ‘keeping in touch’ days. This means that they can come to work for up to 10 days during their parental leave, without it affecting their unpaid parental leave entitlements. Wayne Swan’s bill imposes a pay as you go (PAYG) withholding non-compliance tax on directors and some associates where their company has a PAYG withholding liability for an income year and the director or associate is entitled to a credit for amounts withheld by the company during the income year. These amendments reduce the scope for companies to engage in fraudulent phoenix activity or escape liabilities and payments of employee entitlements. Joe Ludwig’s bill amends three acts to form the new Australian Grape and Wine Authority (see 17). Ludwig’s bill removes product specific maximum rates for R&D charges and marketing charges as changing them is difficult, slow and expensive. See also 42 and 48. Another Ludwig bill changing three acts to form the new Australian Grape and Wine Authority (see 17 and 39). Another Ludwig bill to implement the government’s rural R&D policy, to remove product specific maximum levy rates for R&D levies and marketing levies. See 40 and 48. Wilkie bill and companion to number 44 with consequential amendments to four acts. Wilkie’s bill provides a comprehensive definition of public interest disclosure and provides protections to public officials to make such disclosures. Katter bill to reduce market share to 20% by enforced divestiture over six years and establish a Commissioner for Food Retailing. Katter bill to regulate renewable fuel and mandate 5% ethanol by 2017 and 10% by 2020. Katter bill to establish an Australian Reconstruction and Development Board to fix financial arrangements of stressed agriculture businesses and associated industries. Ludwig’s third R&D bill affecting 8 acts. See 40 and 42. Tertiary Education Minister Chris Bowen’s bill to introduce a national student id from 2014. Needed because there is no single repository of records for vocational education and training. With 21, Bill Shorten’s complex bill to ensure civil and criminal penalties for promoters illegal early release of superannuation benefits, part of his “stronger super” reforms. Joe Hockey’s bill to provide an exception to the prohibition imposed on taxation officers about the disclosure of information regarding the tax affairs of a taxpayer. Hockey wants to remove doubt tax officers can provide information about the MRRT when the Minister wants to make it publicly available. The intention is to reveal how much the mining tax has raised, without breaching tax privacy laws. Treasurer Swan’s bill to amend taxation legislation to restate the ‘in Australia’ special conditions for income tax exempt entities. The bill is raised after the High Court found charities are considered to be pursuing their objectives principally ‘in Australia’ if they merely operate to pass funds within Australia to another charity that conducts its activities overseas. Communications Minister Stephen Conroy’s bill amends the Do Not Call Register Act to clarify who is responsible for telemarketing calls and faxes where third parties are involved, vary industry codes and tighten the ombudsman standards. Julia Gillard’s own bill to amend the Veterans’ Entitlements Act 1986 to extend the time period for lodging a claim for non-treatment related travel expenses from three to 12 months and enable further extensions of time in exceptional circumstances. Greens bill to establish the Office of Animal Welfare as an independent statutory authority originally planned by Labor. Bandt said the Office would be a centre of excellence for animal welfare science and law, and work to harmonise and improve animal welfare laws across the country. He also said it would give animals a voice in parliament, independent of the Agriculture Department and Ministry, to reduce animal cruelty. According to the International Energy Agency we are in a “golden age of gas”. Affordable ways of getting shale gas out of the ground has been the game-changer turning the US into a net energy exporter, as it comes to terms with its “social licence to operate”. Virtually non-existent ten years ago, the US expects shale to dominate production by 2040. In the short to medium term, growth will be steady rather than spectacular. The International Energy Agency’s new Medium-Term Gas Market Report said natural gas would grow at 2.4% a year to 2018. While this is down on last year’s forecast of 2.7% due to the weakness of the European economy and upstream production difficulties in the Middle East and Africa, gas will become more a more significant transport fuel with abundant shale gas in America and more stringent environmental policies in China. Australia is an increasing large player of this massive industry, though not currently in shale gas. Australia’s ‘proven and probable’ reserves of coal seam gas and conventional gas are around 140,000 petajoules, enough to meet 70 years of gas demand at current rates of production. The potential in-ground resource of coal seam and shale gas could be four times as large as known reserves. CSG and shale gas are chemically the same as conventional gas (99% methane) but are unconventional because they are not directly released from empty underground chambers but instead extracted from coal (CSG) or sandstone (shale gas). Australia leads the world with CSG extraction technology but drilling for shale gas has a bonus CSG doesn’t have: liquid hydrocarbons or shale oil. These liquids have a re-sale value that makes shale gas more of a profitable proposition. Australia does have recoverable shale and waiting for cheaper sources might be the reason Korean giant KOGAS withdrew from negotiations with Chevron to buy $29b of gas from its Gorgon project in WA. But for now Australia is riding on the back of coal seam gas. High gas prices in Asia have supported enormous investment in gas infrastructure in Australia, despite high construction costs relative to other countries. On the east coast, $50 billion has been committed to developing LNG export facilities and a further $116b development is underway in WA. They represent 13 new LNG trains (a train cools and compresses the gas into LNG) making the industry an economic driving force over the next decade and beyond. In 2014 the first Liquefied Natural Gas carrier ships will dock off Gladstone, ready to ship LNG to Asian markets. Already the fifth largest exporter of gas thanks to WA LNG, by 2015 Australia could be second only to Qatar. By 2017 it could have the world’s largest gas export industry worth by Grattan Institute’s measure $58 billion a year. But as Grattan also found out, in their “Getting Gas right” report, that does not mean good news for everyone. Domestic prices will be higher and the government will need to intervene to ensure fair market outcomes. Over 93% of Australia’s coal seam gas reserves are in Queensland and the industry has a large footprint here in the Roma region, with lots of gaswells, compressor stations, camps and the Wallumbilla Hub. The Hub, some 52km south-east of Roma, is little known outside the region but it is crucial topic of conversation at Council Of Australian Government meetings. The Wallumbilla hub is a perfectly positioned traffic cop of pipelines linking the Queensland gasfields with Brisbane, Sydney, Newcastle, Gladstone and Adelaide. Like COAG’s Standing Council on Energy and Resources, Grattan Institute promotes its importance as a new trading hub to drive a more transparent market. In 2012 SCER commissioned work on the possible design of a gas trading market at Wallumbilla. The hub is a major pipeline interconnection point for the Surat−Bowen Basin and in December SCER agreed to the ‘brokerage hub’ concept, with a view to launching a voluntary market from early 2014. The ‘brokerage’ hub is an exchange, to match and clear trades using existing physical infrastructure. Given physical limitations, separate trading nodes would be created for each of the major pipelines connected to the hub. The introduction of services to assist gas trading between nodes may follow and the market model is intended to be capable of replication in other locations. The Wallumbilla Hub was among three government initiatives Grattan sees as crucial for the industry, along with fixing the NSW mess and the ability to trade pipeline capacity. NSW does not have a proper social licence to operate and the strong anti-gas lobby has led to State Government restrictions. The impasse could lead to a statewide gas shortage by 2016. The stalemate caused by community concerns and a poor regulatory regime could be solved by ramping up CSG production under the co-operative model of the US Center for Sustainable Shale Development or by increasing interstate pipeline capacity. Grattan sees a role for Government to address supply-side failures, particularly as the east coast moves towards a short-term trading market. Wallumbilla Hub will join the Australian Energy Market Operator, the Victorian gas wholesale market and the national gas market bulletin board in providing price transparency and giving customers a chance to benchmark prices. A gas price index, as discussed in the Government’s energy white paper 2012, is on hold. But the Grattan Institute is against the Western Australian government’s policy on reserving gas for domestic use (despite what the DomGas alliance thinks). They said protectionism might provide some short-term price relief for targeted industries, but ultimately led to higher prices and damaged the economy. Gas is dearer in the west than in the east coast and introducing it the east would make it more expensive, affect existing investments and damage Australia’s business reputation. Protectionism also funds lobby groups at the expense of more worthwhile investments. Protectionism is warranted only for infant industries, says Grattan, and only according to the Mill-Bastable test (that is they will eventually survive without protection and future benefits outweigh current costs). Though clear and intuitive, the Mill-Bastable Test is hard to apply in practice: the beneﬁts and costs of protection change over time as learning progresses. But protectionism or no, prices in Australia will rise. High gas prices in Asia are driving the export industry, but it eventually means higher gas prices at home too as the industry finds equilibrium. The biggest losers will be Victorian domestic customers (who use two thirds of the domestic gas) and WA manufacturers (who use the lion’s share of industrial gas). Governments need to grasp the nettle of this crucial industry in the coming decade. Gas-fired power generation is likely to be an increasingly strong part of the energy mix in a carbon-constrained world. Easily the most intriguing thing I read in the last 24 hours was the massive sheep-eating plant about to flower in the UK. Called Puya Chilensis, this plant sounded so much better than a venus flytrap. I needed to know more but now that I do, I’m thinking the BBC, Huffington Post and others have likely served up a dud. The story surfaced on Tuesday when Britain’s Royal Horticultural Society’s media centre put out a gem of a press release. 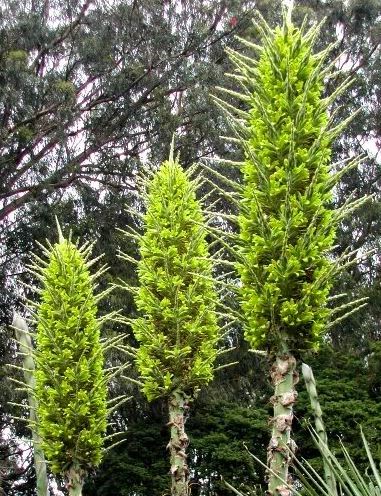 Their South American plant puya chilensis was about to flower for the first time in 15 years. The plant, they said, lived in the wild on the fertiliser provided by dead animals, including sheep, which decomposed trapped in its thick spines. For the RHA this was a “gruesome secret” where dead animals become the “grizzly (sic) equivalent of a bag of fertiliser”. This is a big claim for a garden in the green heart of Surrey and sheep are big animals to get stuck in bushes. Yet the tale was too enticing to media eager for an off-beat story, and in a great setting. RHS Garden Wisley is so much a flagship of the Royal Horticultural Society it even sounds like one. There, irises and candelabra primulas line the long ponds, roses and salvias sway in the Country Garden, and glorious peonies dazzle and bloom. But does something more sinister live in this part of England’s green and pleasant land? Puya chilensis is a hardy plant surviving on mostly waterless hills in Chile. It is a terrestrial bromeliad, which means it has one seed-leaf not two and is a cousin of the pineapple. Puya chilensis is common enough in the Mattoral region. However because the Mattoral also contains Chile’s largest cities including Santiago, the constant land-clearing and the plant’s high flammability is making it rare. What’s also rare, says the RHA, is the striking flowering of puya chilensis. It produces enormous spikes of neon bright, greeny-yellow flowers. The blossoms are gigantic. Individual blooms measure 5cm and they contain enough nectar for a person to drink. Wisley is particularly delighted as it said few UK specimens have flowered, a fact the nursery puts down to difficulties in replicating its natural diet in Chile. Yet on the Scilly island of Tresco, the Abbey Garden’s puya chilensis has been thriving since 1848 and flowers annually. “Each spring the clumps of puyas send up great spikes of flowers 2-3m high, the flowers clustered at the top,” the garden’s website said. “The actual flowerhead is about 1m long and packed with racemes of chunky flowers, the sterile tips of which stick out, affording a perch for thirsty birds.” There is no mention of puya’s taste for animals, something you’d think the Tresco gardeners would have noticed in 160 years. The RHA say puya chilensis uses its razor-sharp hook-like spines to ensnare prey. The animals starve to death and decompose. Finally, after perhaps years, the plant feeds off the fertiliser. Chilean shepherds on the Matorral, they claim, are all too aware of the danger and they usually burn the plant when they see it. Because of the “problematic” food, Wisley feed their puya chilensis with a liquid fertiliser rather than sacrifice a sheep or two. On the carnivorous plants UK forum, no-one had heard of this strange diet of the bromeliad. “Osmosis” raised the topic on the forum about speculation the plant may derive an advantage from the decaying carcasses of animals it snares in the wild. “I know this is not strictly carnivory,” Osmosis went on, “but with only a slight embellishment it makes a sensational answer to what is the largest carnivorous plant.” Another forum user, “vraev”, made the point carnivory was no longer such a big deal. “It seems almost one plant or another is trying to take advantage of the vast reservoir of animal nutrients,” he/she said. I’m no botanist but I could find no evidence of carnivorous bromeliads either in scholarly publications or from talking to scientists who work in the field. In fact there is no evidence at all, earlier than the RHA media release of June 18. It is possible this is new science but I’ve not seen any papers. I asked the RHA “if this information has only recently came to light and if so, how?” They have yet to answer my query. The Beeb and Huffpo may have oversold puya chilensis but it doesn’t need to be sheep-eating to be an extraordinary creation of nature. Thanks for getting in touch. You can find references to the idea that the Puya chilensis derives a benefit from nutrients that leech into the soil from the decomposing carcasses of small animals (particularly farmed sheep) that become caught in its spines in Sharp Gardening by Christopher Holliday and in Maberley’s Plant-book. A Portable Dictionary of Plants, their Classifications, and Uses. 3rd Edition by David J. Mabberley. It has also been referenced by the National Botanic Garden of Wales, The Eden Project and BBC Wildlife Magazine and you can find a piece from Tresco here which references the plant’s reputation for snaring sheep. All of these pre-date the press release announcing the flowering of our Puya chilensis. As you could probably tell from the tone in which the press release was written, the story was intended as quite a light hearted one and a way of drawing the attention of the wider public to some of the fascinating and peculiar plants that live in our world. I’m hoping to get to a tiny town in the Spreewald region of Brandenburg in Germany later this year, as close as possible to October 23. Around 85km south-east of Berlin lies the town of Trebatsch. Here in what was then Prussia, Ludwig Leichhardt was born two hundred years ago on October 23, 1813. Leichhardt is more famous in Australia than in his native country. Last heard from 40km west of Roma in 1848, Leichhardt disappeared on a journey where he wanted to “get at the heart” of the Australian continent. It was the third of three expeditions around the country notable in different ways: the first an incredible triumph south to north, the second an aborted disaster east to west and the third a total mystery as he tried again to go east to west. The mystery of Leichhardt’s disappearance fired the Australian imagination. He vanished with six colleagues, seven horses, 20 mules and 50 bullocks. This was no Bermuda Triangle; it was an enormous, harsh, waterless country with no Europeans for 6000kms. Leichhardt’s expedition likely met its end due to thirst or murder but the almost total absence of reliable evidence, following his earlier success, allowed a legend to grow around him. Across NSW, Queensland and Northern Territory there are suburbs, rivers, electoral divisions, highways, streets and stadiums named for him. Nineteenth century clergyman and prominent republican John Dunmore Lang wanted to name a new state Leichhardtland for him carved out of the Gulf country of northern Queensland. Leichhardt’s life, the mystery of his death and the many conflicted and tragic searches for him puts him second only to Ned Kelly in Australian mythology. In his country of birth, fame came late and fitfully. Brandenburg is in eastern Germany and the bits not ceded to Poland in 1945 ended up in East Germany. The story of the son of a Prussian “royal inspector of peat” who sought glory in a capitalist country did not excite Communist interest. By the time his 175th birthday was celebrated in October 1988, things were changing. The Berlin Wall was about to fall sending the Stasi state crashing with it. It was finally safe to remember a hero from Germany’s imperial times. The Trebatsch Leichhardt Museum will now celebrate its 25th birthday in October the same time as Leichhardt turns 200. In January Foreign Minister Bob Carr paid a visit to the Australian embassy in Berlin where he praised Leichhardt’s role in Australian history. Carr said Leichhardt came to Australia in 1842 to make a name for himself. Leichhardt was styled a ‘doctor’ and had studied broadly but left the Friedrich-Wilhelm-Universitat in Berlin without a qualification. But there he befriended the English Nicholson brothers who excited a keen interest in the British Empire. With the prospect of compulsory military service in Prussia, Leichhardt thought of going to the West Indies or Africa but decided to study the natural history of Australia. In London he met professor of anatomy Richard Owen who gave Leichhardt letters of introduction to NSW surveyor-general Sir Thomas Mitchell. With the Nicholsons’ help, Leichhardt secured a passage on the ship Sir Edward Paget landing in Sydney on Valentine’s Day, 1842. While aboard, Leichhardt learned how to determine latitude and longitude. In Australia, Leichhardt impressed with his learning and began exploring almost immediately. He went to Newcastle to study the coal seams and fossil forests at Awaba and became interested in the search to open up a route from Sydney to the north coast. Mitchell was planning an expedition and Leichhardt wanted to be part of it. When Mitchell’s plan foundered, Leichhardt organised his own trip aided by squatters keen to open up the north. He set off in 1844 with five companions and four more joined the expedition in Brisbane. They left the last settlement at Jimbour on the Darling Downs and followed the Condamine River west before crossing the Divide to follow the Dawson River north and then the Mackenzie, Isaac and Lynd Rivers. With food in short supply the party lived off the land and wild fruit kept them free of scurvy. One of the party was killed by natives when they inadvertently camped onto a sacred site but they pressed on and found the Gulf of Carpentaria on July 5, 1845. Leichhardt named a river the Gilbert for his “unfortunate companion” killed by the blacks. They travelled west 50km from the swampy coast crossing a number of rivers, living entirely off the land. In what is now NT, they found the McArthur River and Aboriginals who had contact with Macassan trepang fishers. By the end of the year they found Aborigines with a smattering of English and knew they were closing in on Port Essington. They arrived on December 17 after being missing for 15 months. They returned by ship to Sydney and were greeted as heroes, long presumed lost. The expedition opened up vast areas of the north to Europeans. Leichhardt also collected and catalogued thousands of specimens of native flora and fauna. His survival in the face of overwhelming odds convinced many to dismiss his disappearance in 1848. Heading across Australia south to north was hard enough (as Burke and Wills found out 14 years later), but it was easy compared to the east to west journey. Leichhardt’s second expedition in 1847 ended quickly in flooding, dengue fever and poor morale. But he was determined to have another go. Leichhardt said he hoped to get to the Swan River colony (Perth) in two years. Privately he thought it might take three or four. But it was always his grand ambition to cross the country as he admitted in his final known letter. Leichhardt needed water for his men and stock, and a direct route from Darling Downs to Swan River had precious little of that. Historian Darrell Lewis’s new book Where is Dr Leichhardt? systematically looks at the available evidence before concluding Leichhardt went around Australia in a huge arc, following the watersheds in a constant search for drinking water. The evidence amounts to trees marked with L’s, stories from Aborigines and a 15cm x 2cm brass nameplate from a rifle with “Ludwig Leichhardt 1848” written on it. An Aboriginal man, known as Jackie, is believed to have found it attached to a partly burnt firearm in a bottle tree, itself marked with an L, near Sturt Creek, between the Tanami and Great Sandy Deserts, at the WA and NT border. Jackie gave the gun and plate to a white drover and prospector named Charles Harding. Harding gave the plate to a son of a friend, 14-year-old Reginald Bristow-Smith in 1918 and he lent the plate to the South Australian museum in 1920. Bristow-Smith refused a request to donate the item and it was never displayed. He got it back a year later. In 1934 SA historian James Dougal Somerville learned Harding had died in 1926, but a friend of Harding told Somerville it was found by “Charlie black boy Jackie”. All Bristow-Smith could remember was that it near “Mt Inkerman” which was “90 miles from the Western Australia border”. 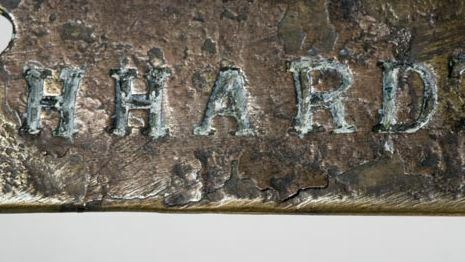 Somerville’s research and the double ‘h’ in Leichhardt suggested the plate was genuine. In 2006 the National Museum of Australia dated the artifact to the late 1840s and bought the plate from the Bristow-Smith family as the only authentic relic of the expedition. Author Darrell Lewis is still scouring the area looking for the “L” tree and evidence of the burned gun. If evidence emerges, it means Leichhardt made it at least two-thirds of the way. Until definitive evidence of an 1840s breech-loading rifle or bones of white men or cattle emerge, Leichhardt’s fate will remain hidden by the immensity of the Australian desert that entranced him. The legend of the “ultimate European endurer” as Thomas Kenneally called him continues to entrance us. As well as voting Gillard or Abbott into power this September, Australian voters will also be asked to change the constitution. This is the first time people have voted on the constitution in 14 years and despite recent politicking there is not much excitement about it. Yet as Attorney-General Nicola Roxon said in a 2012 speech “constitutional reform is a high stakes contest”. This contest is about recognition of local government in the federal constitution something that failed in 1974 and 1988. According to Roxon this is the last opportunity for change and to proceed and lose would be a death knell for local government recognition. “Future governments would just not waste the time and effort on a fourth attempt,” Roxon said. The change is a legal one not quickly understood and Roxon’s government has not invested much time in helping people understand. What is at stake is a change to Section 96 of the constitution. The change to be voted on in the referendum is twofold. The name of S96 will change from “Financial assistance to States” to “Financial assistance to States and local government bodies”. There doesn’t seem anything obviously wrong about Section 96 under than the pointless referral to the “ten years after the establishment” which expired in 1911. This section gives the Commonwealth carte blanche to fund the states under any conditions it desires. So why is it important to include “any local government body formed by the law of the state”? What Section 96 does not give is the right for the Commonwealth to fund the third level of government, local councils. Australia is a classic “dualist federal system” and local councils are not mentioned in the Federal Constitution. In 1901, municipalities were considered a subsidiary body with no status or powers of their own. Councils were creations of the state, and the states retain the right (as specified in Part 2 of the Queensland constitution) to fire them. This has happened, usually on financial or amalgamation grounds – even though Councils have been compulsorily voted in by the people. The federal referendum cannot address that injustice; that would require referendums in each state. But it can give Councils freedom to secure funding directly from the Commonwealth by making Section 96 of Constitution more specific. Councils have a narrow range of powers confined to property services and rely on the property tax commonly called “rates” to fund services. The problem is they are also responsible for capital expenditure and maintenance of local roads, well outside the capability of property taxes. This problem was recognised in 1922 when the Commonwealth first funded roads on a 50:50 basis with the states. In 1923 the Main Roads Development Act relied on Section 96 of the constitution to provide money to the states on the condition some of it would be passed on to councils to build roads, especially in remote areas. Road expenditure increased dramatically after World War II as the Commonwealth became more prescriptive about what the money could be used for. The Whitlam Government took over in 1972 with a strong aversion to the conservative-ruled states. It encouraged councils to form regional groups and poured money into regional development schemes by-passing the states. The Commonwealth took on full responsibility for “national highways” and insisted States run their own roads program by Federal guidelines. In 1974 Whitlam held a referendum to give local government representation on the Australian Loan Council and to allow the Commonwealth to lend money to them. The states were furious and saw it as an attempt to by-pass them. The ‘No’ case stressed grants to local government would allow “Canberra’s bureaucratic fingers” into every Australian municipalities. The referendum failed nationally by half a million votes, and in all states except NSW. A second referendum failed in 1988. The Hawke Government asked “Do you approve of an Act to alter the Constitution to recognise local government?” This question was more symbolic than 1974 and was a sweetener for other referendum questions by harnessing the campaigning power of local government. It fell after initial bipartisan support was lost. The referendum failed in all states and territories and failed overall by three million votes. The Hawke Goverment also changed the Fraser Government initiative which gave the states a share of income tax. This was handy in good times but difficult to bear in recessions. Hawke removed the tax and replaced it with FAGs – Financial Assistance Grants. FAGs had the political benefit of improving the budget bottom line by more directly targeting funds where needed, but created inequalities across the system. John Howard cut out the FAGs and introduced the GST in 1998 to fund the states. However the deal he struck with the Democrats meant the tax did not raise what was expected and the Commonwealth still needed to top up funding. In 2002 Howard directly funnelled money to councils Whitlam-style in the Roads to Recovery program. Originally due to last four years, it proved popular and still exists. The problem was how equitable these arrangements were, particularly in consequential impact, though there was not much will to change. In 2006 the federal parliament adopted a resolution recognising local government which was a token gesture but acknowledged a reality not expressed in the constitution. The Rudd/Gillard government continued the commitment to roads. From 2009-10 to 2013-14 the Government is providing $1.75 billion ($373.5 million in 2013-14) under Roads to Recovery. Rudd also established the Australian Council of Local Government in 2008 in the name of ‘partnership building’. After the 2010 election, Julia Gillard promised the Greens and Independents a referendum to recognise local government in the constitution. An impetus for constitutional change came in the Pape case. Law lecturer Bryan Pape told the High Court the $900 Rudd stimulus payments were a gift and not supported by the taxation powers of the constitution. The Government won the case on a narrow interpretation of its “nationhood powers” in the constitution. The High Court deemed the Government had the right to give away money, but only in a “national emergency”. Waters were further muddied by a second case in 2012 Williams v the Commonwealth. Ronald Williams was a parent opposed to Commonwealth funding of the school chaplaincy program. The High Court agreed with Williams the Commonwealth did not have the authority to exercise the expenditure under its constitutional powers and shut down the program. The Government ignored the Pape decision because it won but Williams was different. To fix the chaplaincy issue, they rushed through the Financial Framework Legislation Amendment Act (No 3) 2012 “to make, vary or administer arrangements under which public money is or may become payable, or to make grants of financial assistance.” However this new law is subject to constitutional challenge to find the head of power that authorises it. Roads to Recovery and the National Disaster Relief and Recovery Arrangements are similarly challenged. Funding and repairing local roads are not a corporation power or a nationhood power, the two most likely constitutional defences. They are hardly “national emergency” programs either. They are vulnerable to constitutional challenge from anyone with standing and motivation. Hence the referendum. The problem is a lack of knowledge and lack of trust from a disengaged electorate. In 2011 a local government Expert Panel found a successful referendum must have bipartisan support, make a practical difference and resonate with the public. Unless its supporters start quickly making a compelling case known, this referendum seems doomed to the same failure that has plagued 36 of the 44 referendums since Federation.